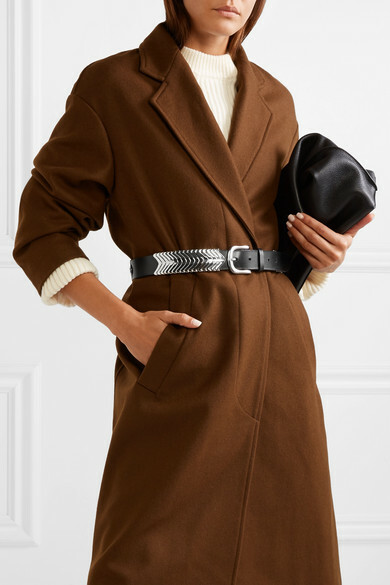 Designed to sit at the narrowest part of your waist, Isabel Marant's 'Tehora' belt looks so cool layered over flowy dresses or tailored coats. 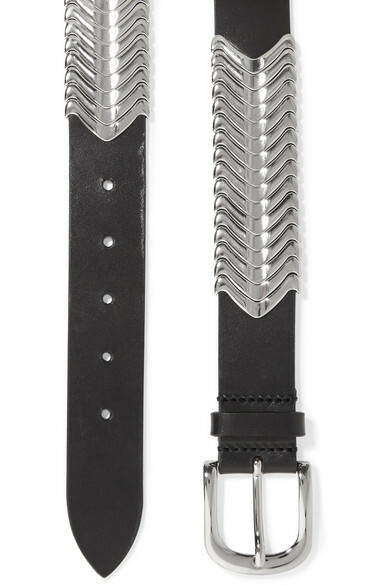 It has been crafted in Italy from smooth leather and is embellished with Western-inspired silver hardware. Shown here with: Isabel Marant Étoile Coat, Joseph Sweater, Brock Collection Jeans, Akris Shoulder bag.